I realise we’re already 10 days into October, but it’s never too late for a little book review. When writing this blog post, I noticed a running theme of human muddle; people having difficult relationships and trying to navigate them. All three books are so completely different to one another so it came as a little surprise when I realised that. As I loved all of these books, It goes to show what really contributes to a good read. 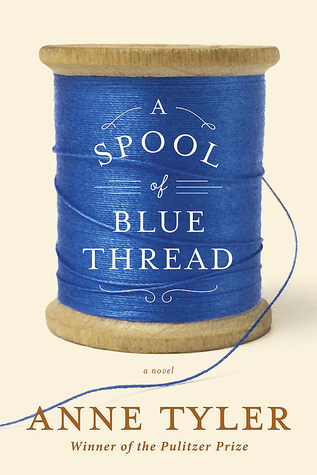 This novel is a depiction of the Baltimore Whitshank family across several generations. It traces the intricacies of complicated human relationships, shaped by past and present. As the parent’s age and the frailties become more prominent, one of the brothers moves in with his family only for the prodigal son to turn up at the same time. As all 4 siblings come together, tension mounts and jealousy builds. The family slowly disintegrates as it’s forced into facing deep rooted issues. Midway through, Tyler takes us back to the past to show us how the family started and came to be today from the tragicomic Grandparents meeting, to their child Red marrying Abby becoming parents themselves. I enjoyed reading this book. Nothing major happens as far as plots go but it’s cleverly built structures are enough to keep you reading. As the above article puts it, ‘it is no less eventful than ordinary life -and that turns out to be enough.’ Tyler has somehow created a gripping read with nothing out of the ordinary happening. Her exploration of relationship and character was really well crafted and is the hook throughout. No-one felt like they didn’t have a voice. Or worse, the wrong voice. Everything weaved in perfectly and I felt her retractions to the past helped to balance the reader’s opinion of the characters which otherwise could easily be set. The delineation of the house also weighs heavily and is part of what drives the book forward. It is it’s own character and the love of two men’s lives. It is an emblem of where the Whitshank family came from: a shady origin and, much to the grandfather’s dislike, working class and is proudly passed down through the family like a torch. Junior – the grandfather and builder – falls in love with the house he initially built for someone else. He tends to it like an overprotective mother, varnishing, sanding, refusing air-conditioning, relaying slabs. Little knicks that need tweaking all the time. Every imperfection is feared. A sign of neglect – a lament to his own neglected childhood maybe? To Junior, middle class is where he aims to be though he’ll never admit it. The fear deep down is that people will know Junior’s a pretender. Every tweaking is a papering over of their own shady origins. I feel I’ve not explained it well but it surprised me. I’m not one for books that are all about people but I finished this in a few days. Also available in hard copy, I LOVED this. I don’t think I’ve ever gotten through an audio book so quickly. The narrator Perdita Weeks has the most perfect voice for this Greek prose. It tells the story of the Goddess Circe, daughter of a nymph and Sun Titan Helios and follows her from birth to banishment and life on the Island of Aaeea where she hones her sorceress powers. We see grow from scorned and rejected child to discovering a vocation in the tranquility of her banishment. Miller also takes us through many Greek staple myths: Circe’s experiences of Prometheus being punished, her creation of Scylla and Charybdis, the birth of the Minotaur who is her nephew, Dedalus and Icarus, Jason and the Golden Fleece, and finally Odysseus. It would be very easy for Miller to stick to the script and focus on the magnetism of that God -ruled world. The key, is that instead of focusing on the magic, Miller has focused on the emotions and experiences of a woman in a way that feels accessible. 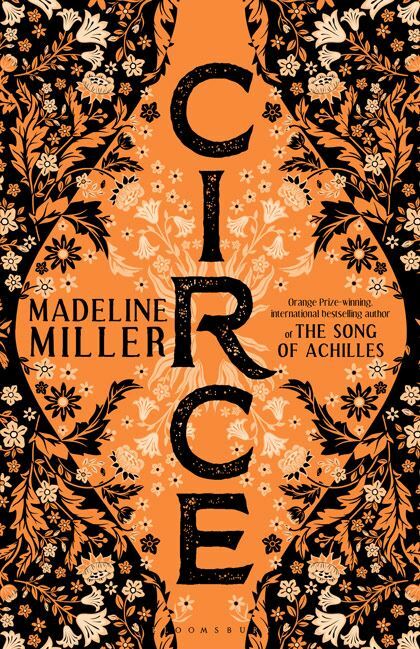 The magic certainly compliments it and is a necessary part of the book, giving it an air of escapsism, but the niche is how we experience this harsh Greek world through Circe: neglected, unloved, banished, bullied, raped, misguided, single-parent and subject to extreme loneliness. Yet all the while hopeful for better. There is a touch of the feminist in this retelling and it sits well. Miller has formed a strong female character that despite her origins, somehow resonates with the reader. Likely because the battles she faces feel like tangible human challenges, something we can relate to as readers but importantly, women. When she turns men into pigs for example, it is not done to be wicked, but out of necessary self-defence following an attack. A metaphorical hurdle most women can relate to. In a nutshell: White girl Lily lives in South Carolina with her abusive father. She lives with the knowledge that when very young she shot and killed her mother accidentally and through lack of memory has been building up a picture of mother in her mind for years, setting high expectations. Her minder, a black woman named Rosaleen is arrested and beaten to near death in prison. Lily breaks her out of hospital and sets out to… where? All she has is a picture her mother once had of a ‘Black Mary’ and the knowledge that she wants to go there. It turns out Black Mary is actually from a jar of honey called Black Madonna grown on a nearby bee farm. 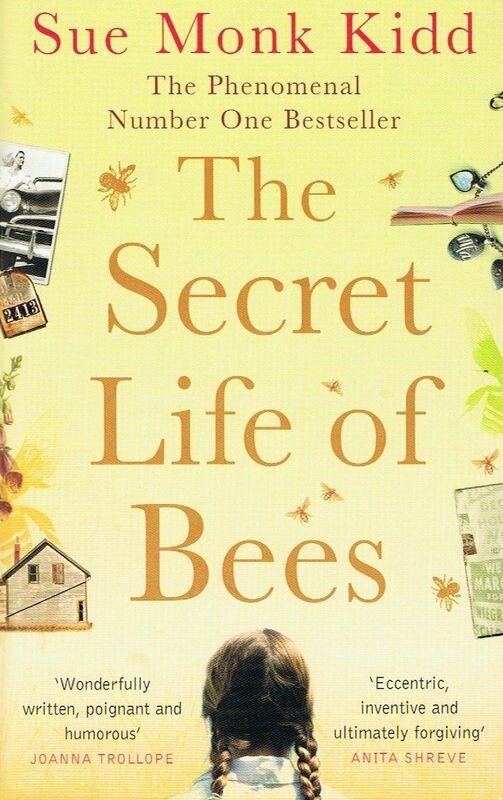 Lily and Rosaleen are guided to the bee farm where she meets 3 eccentric black sisters who run the successful honey business and her and Rosaleen are taken in and apprenticed by the owner – August. There, Lily begins to unravel the true identity of her mother and learns to live with the consequences of her actions. I’m aware that a film of this came out around 10 years ago, but I strongly recommend as always to start with the book first. A lot of this book focuses on emotion and thought, which can be lost in the translation of book to screen. It was difficult in places to follow being set in the 1960s deep in America, and there were points that had me uncomfortable as not only a woman but a white woman. But I think that’s a good thing. It forces you to face things that are real and that are difficult. It was a touching read and Monk Kidd told it well.